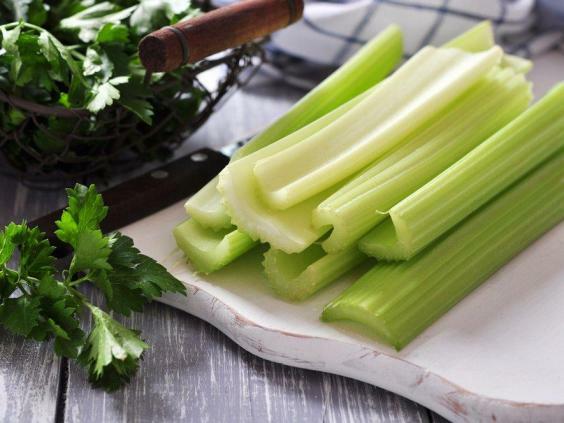 You’re best off eating celery when it’s fresh, though. The vegetable loses many of its antioxidants within five to seven days of being purchased. Kale is light in calories — one cup of raw kale only has about 33 calories — but it contains close to three grams of protein and 2.5 grams of fiber per serving. It’s one of the relatively few foods that contains an omega-three fatty acid, a nutrient that most people rely on fish to get. Like other kinds of lettuce, kale is also high in vitamins and folate. Blueberries’ claim to fame is their antioxidant content. The fruit has more antioxidants than any other fruit. And for all the fiber a cup of blueberries packs — 14% of your recommended daily value — it only has around 85 calories. A fruit that is mostly made up of water, cucumbers only contain 16 calories per serving. The seeds and skin contain most of the fruit’s nutritional value, so you’re best off not peeling your cucumbers. The peel and seeds provide both fiber and a form of vitamin A known as beta-carotene, which is known to be good for your eyes. Tomatoes are best known for the fact that they contain lycopene, a carotenoid, which helps fight against chronic diseases and also gives the fruit its red color. Besides lycopene, tomatoes are high in vitamins A, C, and B2, as well as folate, chromium, potassium, and fiber. 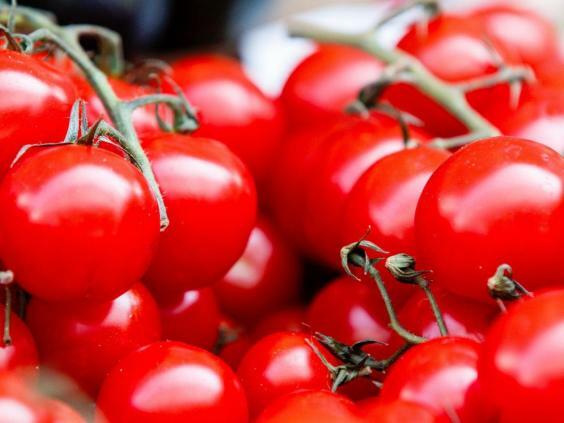 And for all the nutrients it boasts, one medium-sized tomato only has around 25 calories. Studies have shown that adding grapefruit to your diet can increase weight loss, which is often why it’s considered a diet food. 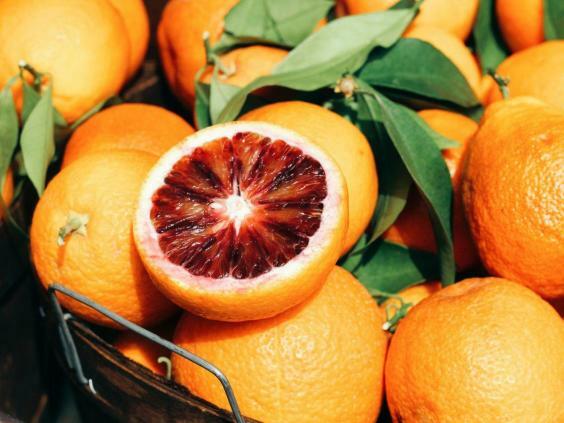 This is because grapefruits are high in fiber, which keeps hunger at bay by stabilizing blood sugar levels and helping you feel fuller for longer. There are only 50 calories in one half of a grapefruit. The vitamin C found in grapefruit can reduce the risk of a number of health problems, like cancer and heart issues. Grapefruit can also work wonders in lowering cholesterol and improving digestion, and the folate found in the fruit makes it an ideal snack for pregnant women. Broccoli is most nutritious when eaten raw or when steamed. This super vegetable contains sulforaphane, an anticarcinogen that works to destroy cancer-causing chemicals that the body might take in either through the environment or through food. Besides vitamins A, C, E, and K, one serving of steamed broccoli contains approximately 20% of your daily fiber requirement. Plus, there are only about 31 calories in one serving. 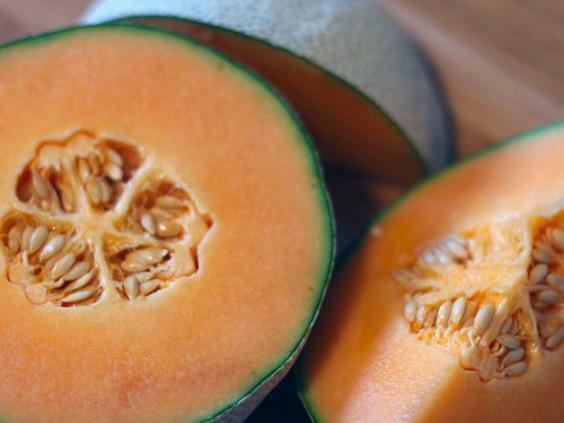 Cantaloupe has more beta carotene — a form of vitamin A that promotes healthy eyes — than many other similar fruits like oranges, grapefruits, peaches, and mangoes. Just one cup of the fruit provides you with potassium as well as more than 100% of your daily recommended value of vitamins A and C.
Plus, since water makes up 90% of cantaloupe, there are only 55 calories in one serving. Although its white color may make people think otherwise, cauliflower is actually a very versatile and nutritious vegetable. It contains antioxidants and phytochemicals — both of which help to fight off chronic disease — and it’s an excellent source of folate, fiber, and vitamins C and K.
There are around 25 calories in one serving. Blackberries’ health benefits are incredibly versatile. Like many other berries, the fruit is rich in vitamin C as well as antioxidants known as bioflavonoids. Beyond that, eating blackberries can aid with digestion and staying alert, and tightens tissue, leading to younger-looking skin. There are around 62 calories in a single serving of the berries. Most types of lettuce — whether it’s romaine or iceberg — only have about 10 to 2o calories per serving. And although lettuce won’t add a lot of protein to your diet, it will add plenty of vitamins and nutrients like folate, iron, and vitamins A and C.
Most people know oranges for their vitamin C content, but the citrus fruit touts multiple other benefits. Since vitamin C is crucial in collagen production, oranges help keep skin free of damage and looking good. It’s also low in calories; a medium-sized orange has about 80 calories. And if you’re not eating that white stuff under an orange’s skin — pith — you should start. Pith contains a lot of fiber, which helps lower cholesterol and blood sugar levels. There’s more vitamin C in one serving of strawberries than there is in one orange. In addition, strawberries are also bursting with polyphenols, a type of antioxidant. Strawberries are also a good source of potassium and fiber, and they’re fat-free, sodium-free, and cholesterol-free, which makes them healthy for the heart. One cup of the fruit only has around 50 calories. Honeydew melon has only slightly more calories per serving than cantaloupe (64), and the majority of these calories come from the 14 grams of natural sugar the fruit provides. Honeydew also contains over half of the recommended daily value of vitamin C, as well as copper, which is crucial for healthy skin. Previous ArticleSay goodbye to sciatic nerve pain in just 10 minutes with this natural method! Next ArticleItalian Doctor Shocked the World: Cancer Is a Fungus That Can Be Treated With Baking Soda!